We are on the beach in the centre of Golden Bay and the perfect place for exploring the many local natural delights. 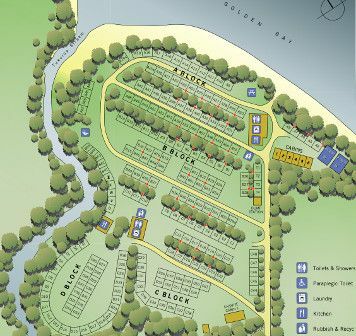 The places is this selection are all free to go and enjoy at your leisure, and are within than an hour of the campsite. 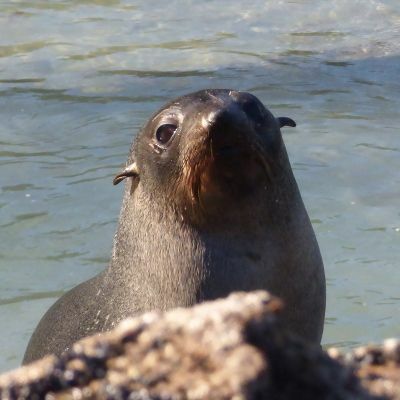 The seal pups playing in the rocks pools on Wharariki Beach are an absolute delight. The best time to see them is around low tide from December to April. 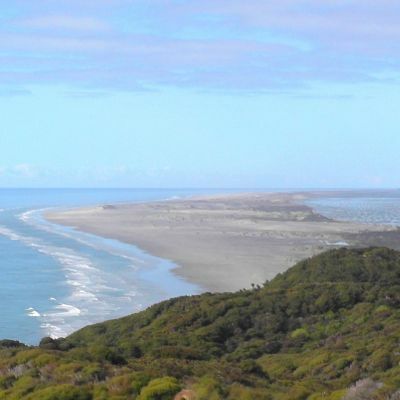 To get there drive through Collingwood following signs to Farewell Spit, then at Puponga turn inland following signs to Wharariki Beach and carry on to the car park at the end of the road. Watch out for the peacocks there, they're harmless but they want your picnic! It's about 50 minutes drive to the car park. From the car park at the end follow the track to the beach (about 20 minutes). The rock pools with the seals are directly ahead of you when you reach the sand. It is suitable young and old people of modest fitness. 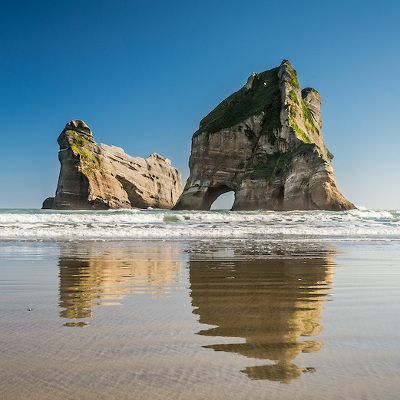 The Archway Rocks are on Wharariki Beach. Once at the beach head off to the left; the arches show themselves once you are a few hundred meters along. To get there drive through Collingwood following signs to Farewell Spit, then at Puponga turn inland following signs to Wharariki Beach and carry on to the car park at the end of the road. It's about 50 minutes drive to the car park. From the Car Park to The Archway Rocks is about 30 minutes. 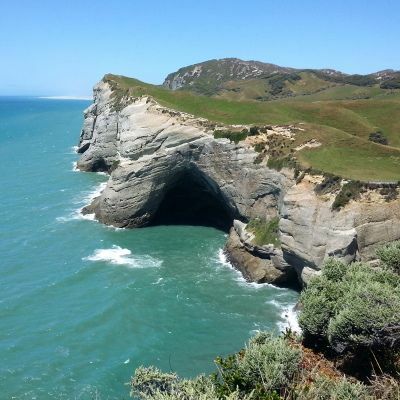 Cape Farewell is the northernmost point in the South Island. The name was given by James Cook as this is where he bade 'farewell' to New Zealand on his way to Australia. It is about 45 minutes driving from the campsite. Drive through Collingwood following signs to Farewell Spit, then at Puponga follow signs to Wharariki Beach. After about 6 km you will see "Cape Farewell" signposted on your right. It is a 5 minute walk from the parking area to the viewing platform. For the more energetic the walks along the cliffs to either side of the viewing area are magnificent. 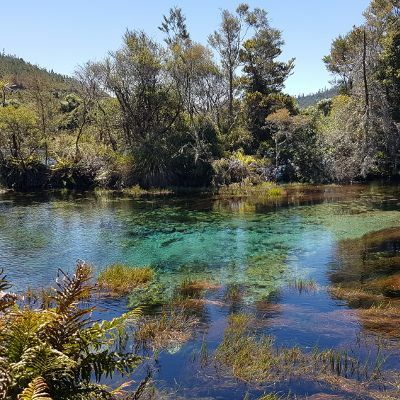 To get to the Waikoropupu Springs (Pupu Springs) head towards Takaka turning right immediate before the bridge over the Takaka River. Continue for about 4km then follow the sign on to the springs on the left. There's a well made loop track to the springs which is suitable for all. It's about 20 minutes drive to the car park and then 20 minutes walking time around the loop track. 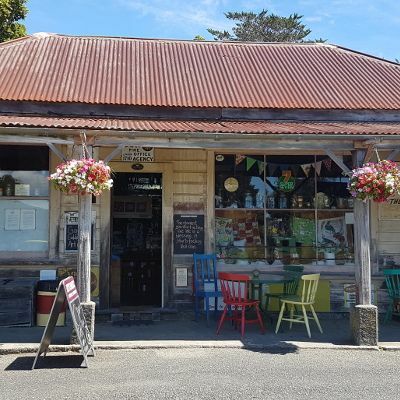 The historic Langford store has been owned by the same family since 1928... and not much has changed. It is is 20 minutes drive from the campsite. Head out of Collingwood towards Farewell Spit then follow signs to the Heaphy Track. This will take you past the store. "Enjoy a pot of tea or an espresso coffee, served with sublime sweet treats. Soak up the sunshine and the tranquility of the surrounding scenery, whilst you write a postcard home or just rest a moment with friends." 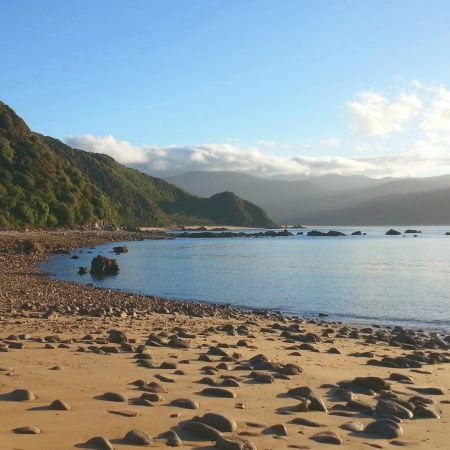 The start of the Heaphy Track is 36 km from the campsite. You can leave your valuables securely with us while you do the walk and return. Leave us a message if you need help planning your transport to and from the start and the end of the track. Farewell spit extends over 30km from it's start at Puponga. Walking access is limited to 4km along the spit, but the walk 4km along the Golden Bay side, across to the ocean side, and back again is a full day's excursion. Be sure to take water and sun protection. There's a shorter walk that will see you on the ocean side in about 30 minutes. The Farewell Spit car park is a 50 minute drive from the campsite. Follow the signs from Collingwood. 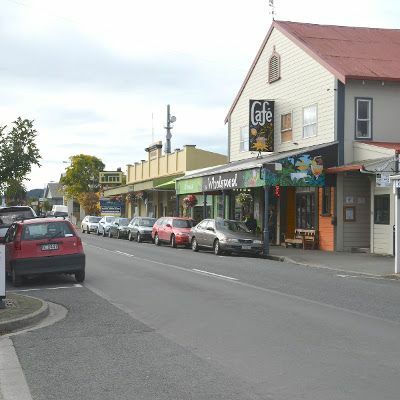 Takaka Township was founded in 1854 and is the main business, service and shopping centre for Golden Bay. It has everything that a small provincial town requires including a major supermarket, petrol stations, liquor outlets, and post office. A stroll down the main street reveals the active and well recognised arts and crafts community. There is a wide range of accommodation and a good selection of restaurants and cafés. 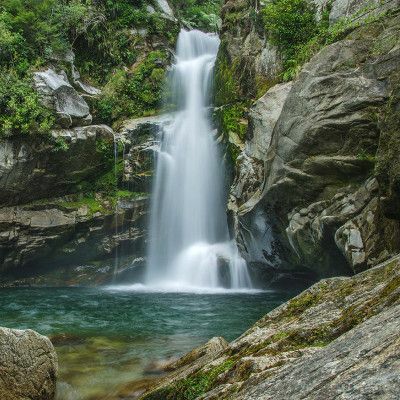 The Wainui Falls car park is about 20 minutes from Takaka. Leave Takaka heading through Pohara and Tarakohe and keep going on the road. Wainui falls is signposted on your right. The walk to the falls is about 30 minutes each way and only a modest incline on a good track. 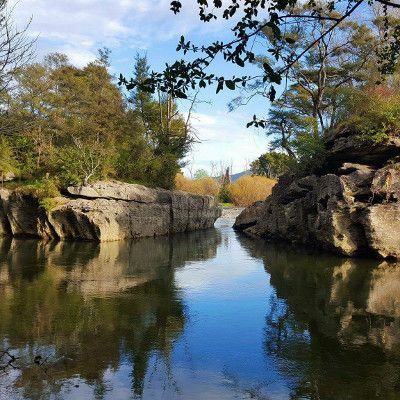 The Tramline track at Paynes ford is an easy stroll along the backs of the Takaka River. 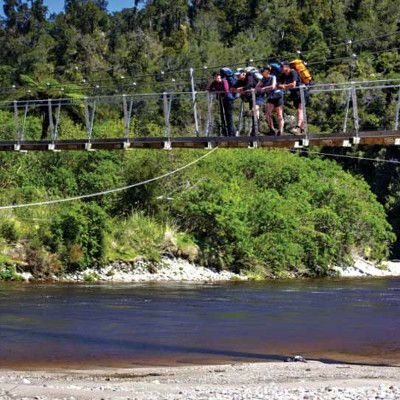 The track is level as it follows the route of the tramway that ran between East Takaka and the Waitapu wharf. To get to the Car Park leave Takaka heading for Takaka Hill. The car park is on your left after about 3km. 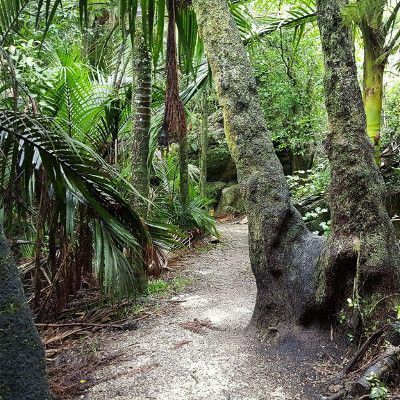 The Grove scenic reserve is an unexpected pocket of green nikau palms and limestone gullies, hidden above the farmland at Clifton. It is a 30 minute return walk to the lookout, and suitable for all ages. Leave Takaka on Abel Tasman Drive heading towards Pohara. Look for the sign on the right after 7km. The start of the famous Abel Tasman track is 30 mins from Takaka, through Pohara and around Wainui Bay. Look for the sign on your left showing the start of the Abel Tasman Track and follow it to the Car Park. There are good walks over the tops to Wharawharangi, or around the beaches. If you are going to Taupo Point then be aware that you need low tide to get there without using the high tide hill track.